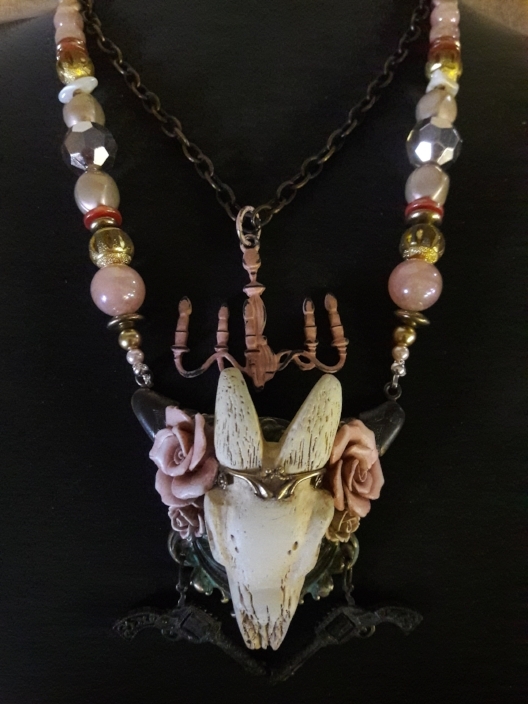 Dustin Pearson Williams is an artist working in wood, plaster, metal and found objects to create beautiful assemblages and jewelry. She works in her studio in the 'WaterWorks" building at 152 Kerr St. NW, the oldest building of our campus and the only one from 1920 still standing. She is interested in iconography and what makes an object sacred. 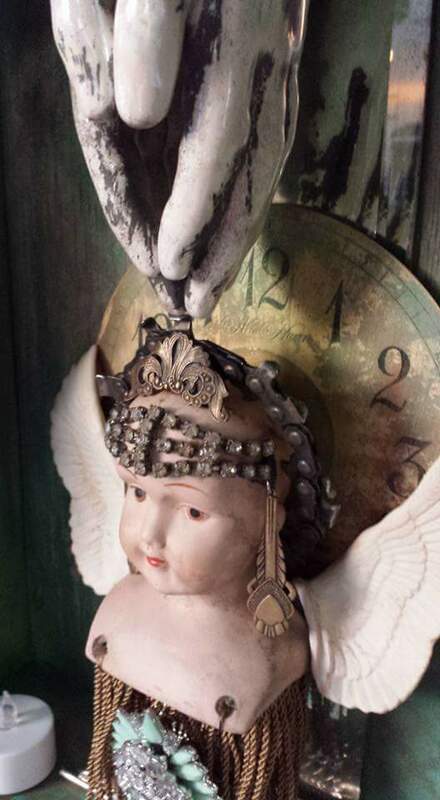 Dusti loves carving tiny things out of wood and plaster, embellishing them and creating beautiful environments for them, like relics in a reliquary.